India stand-in captain Rohit Sharma on Friday became the highest run-scorer in the Twenty20 Internationals, surpassing New Zealand’s Martin Guptill. 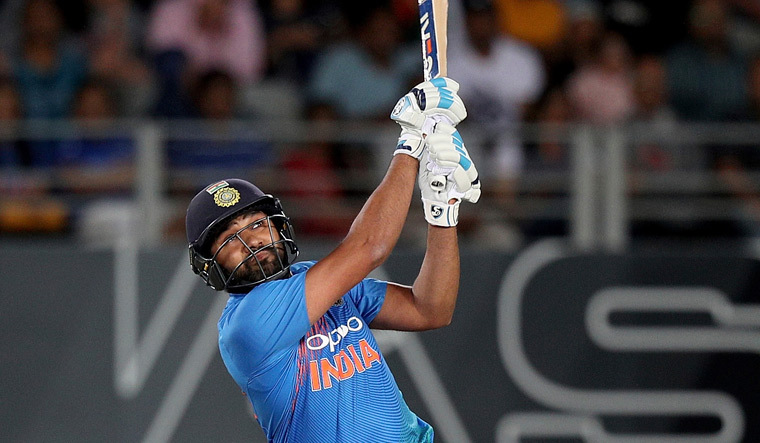 Rohit achieved the feat in style, clobbering leg-spinner Ish Sodhi over the fine-leg boundary for a six during India’s chase of 159 runs in the second T20 International against New Zealand at Auckland. Coming onto the match, Rohit needed just 35 runs to surpass Guptill (2,272 runs), who didn’t play Friday’s match and the right-hander slammed a 29-ball 50 before being dismissed. Rohit (2,288), who achieved the feat in 93 matches, also went past Pakistani all-rounder Shoaib Malik (2,263), who is third in the list. India captain Virat Kohli (2,167 runs) is placed fourth in the chart ahead of former New Zealand wicket-keeper batsman Brendon McCullum (2,140).